Don't Miss Out On The Hottest Deal - Get Instant Text Notification! Don’t Miss Out On The Hottest Deal – Get Instant Text Notification! Want to know about all the hot deals, the second I post them? Well, I’ve got good news! You can get immediate text alerts about all the best deals, posts and more from KOAB. Just text the words Follow @kosheronabudget to 40404. You will then receive a confirmation message, after which you will receive automatic text messages about new posts and deals on KOAB. Keep in mind that standard text messaging rates apply. You can expect an average of 5-7 texts per day. Don’t worry if you’re not on Twitter: You don’t need to be to get these text alerts! With Prime Day just around the corner, the deals are going to be ramping up like no other time during the year. Now is definitely a good time to get text alerts. Note: If you were signed up for text messages before, this will replace the KOABDeals account, which had gotten glitchy in the last few weeks and wasn’t including the link in the text message. You can unsubscribe from that, by texting OFF KOABDeals to 40404. But I will not send out messages from that account anymore, so it shouldn’t matter either way. Thank you for your wonderful site and all the hard work you do! Also I am very appreciative and grateful to you for allowing me to participate in your offers. 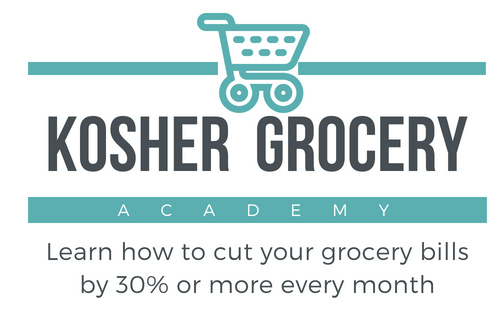 You really do make living kosher on a budget more affordable! G-d bless you and your family!